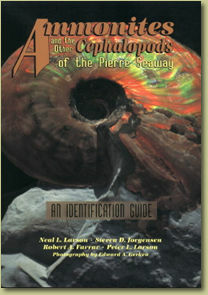 This book contains the most up to date descriptions of all the described species of ammonites that lived in the Pierre Seaway of the Western Interior between 82 to 69 million years ago. There is a brief description of the geology and the comprehensive geological cross section of the rock formations and their corresponding ammonite zones from northern New Mexico through southern Canada. There are hundreds of photographs and illustrations of all known species (nearly 100) of ammonites and cephalopods from this area, an extensive glossary, and a very comprehensive discussion of the geology and paleontology of the Pierre Shale. This is a must for the novice, collector or professional.